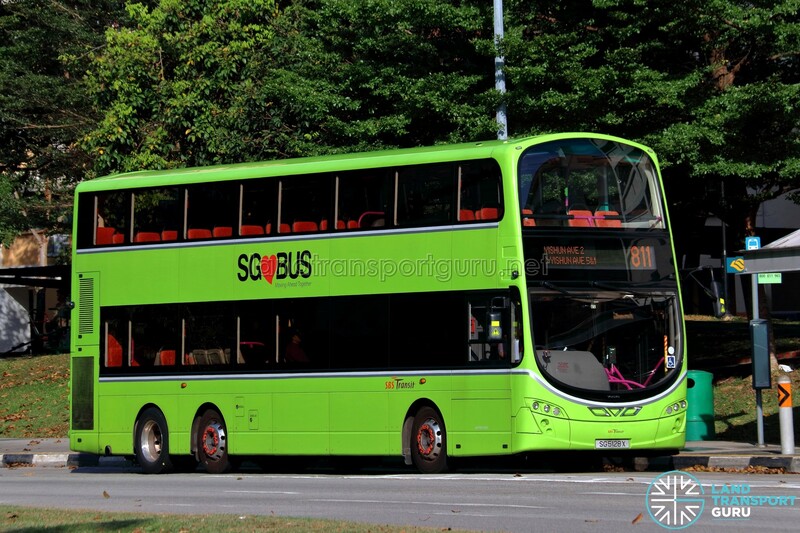 SBS Transit Feeder Bus Service 811 is a Feeder service operating from Yishun Temporary Interchange and looping at both Yishun Avenue 5 (North Loop) and Yishun Avenue 1 South Loop), passing through Yishun Avenue 7, Avenue 2, Yishun Ring Road and Yishun Street 81. It operates as a dual-loop service, calling at Bus Stop 59161 (Opp Blk 201) along Yishun Central in-between loops. Buses from the North Loop will continue to the South Loop at Opp Blk 201, Yishun Central unless “Terminates at Yishun Central (Opp Blk 201) 811T” is displayed. Buses from the South Loop will only continue to the North Loop if “Terminates at Yishun Int 811T” is not displayed. Feeder Service 811 serves residential blocks, schools and public amenities along Yishun Ave 9, Yishun Ave 6, Yishun Ave 7, Yishun Ave 5, Yishun Ave 2, Yishun Ave 3, Yishun Ring Rd, Yishun Ave 4 and Yishun St 81, connecting them to transport nodes at Yishun Town Centre, namely Yishun MRT and Bus Interchange. Its primary area of service is Yishun Neighbourhoods 1 and 2 on the North Loop, and Neighbourhoods 6, 7 and 8 on the South Loop. 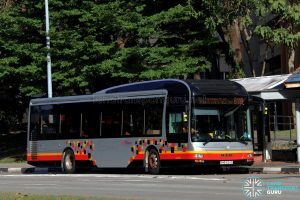 High capacity buses are deployed on a daily basis due to high demand from Yishun residents and workers commuting to Yishun Industrial Park. The route serves schools such as Ahmad Ibrahim Secondary, Naval Base Primary, Naval Base Secondary, Northland Secondary and Orchid Park Secondary. Other public amenities served include Yishun Town Combined Temple, Yishun Neighbourhood Park, Chong Pang CC, Yishun Town Gardens, Yishun Swimming Complex and Nee Soon South CC. 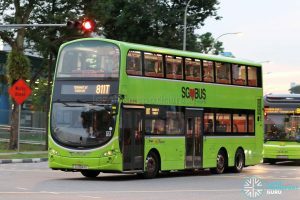 Service 811 operates in two loops, where buses will first ply the North Loop (via Yishun Ave 5) followed by the South Loop (via Yishun Ave 1). The 811 berth inside Yishun Temp Int is for the North Loop, while commuters heading towards the South Loop (via Yishun Ave 1) should board outside Yishun Temp Int at Bus Stop 59161 Opp Blk 201. 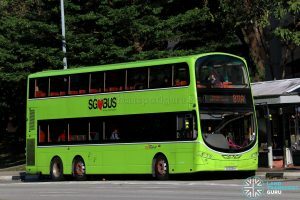 Terminating trips will operate as Service 811T (Formerly 811E) on the South Loop, indicating that the bus will terminate at Yishun Temp Int and no longer continue its journey on the North Loop. Between Jan 2015 & Jan 2017, Service 811 had a Peak Period Short Service variant, Peak Period Short Service 811P, which served the South Loop only. 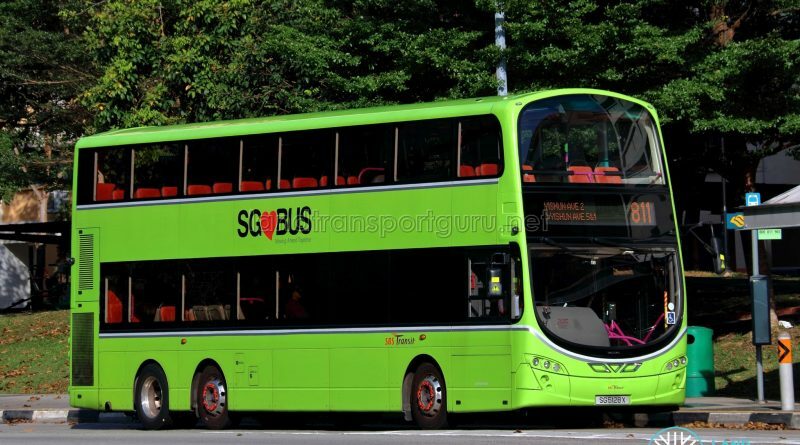 Prior to takeover by SBS Transit with re-branding to Townlink Service 811 as part of the Seletar Bus Package in March 2018, this service was branded as an Intratown Service by SMRT Buses. The Townlink branding was subsequently dropped in August 2018 as part of standarisation.